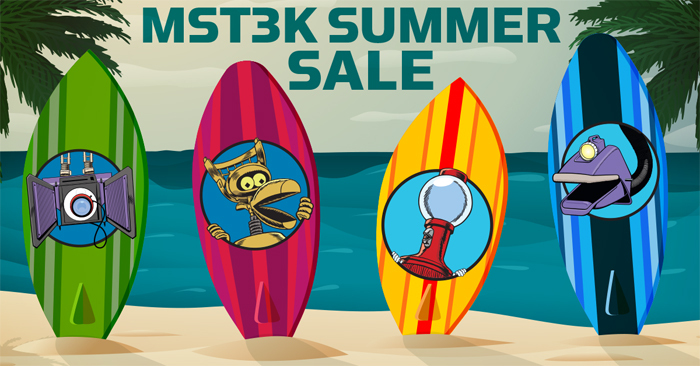 Get 20% off (nearly) everything* in the MST3K Store this week during the MST3K Summer Sale! Head over to MST3KStore.com to get the goods. Please note: Robot Roll Call pint glass set and Summer BBQ Bundle do not qualify for 20% discount. Sale ends 11:59 PM Pacific Time 6/11/18.